The Fordson Tractor Pages Forum • View topic - This and that about Ford 590E engines. This and that about Ford 590E engines. Hello Brian, and others. As You perhaps already know my main interest is the Ford 590 E engine. I have five of them. Do You know any interesting links or do you have any books or other information about the engine and the history of the time at Ford factory when the 590 E engine was under development. The fact that it fits to a Major gearbox was perhaps a plan for a stronger engine but they never produced a Major with it, only Roadless, County and some other did. The Thames Trader got the 590 E but was it because the engine already was in production or was it meant for the Thames Trader from the beginning. How was the Thames Trader and the Fordson connection at the factory when they used the same parts? The 590 E was sold as industrial engine for many applications with the serial number beginning with a S. The problem now with the S is that the number after it is not listed anywhere, or is it? Is the S stamped on spare engines or spare blocks as well? Last edited by Grani on Fri Jul 24, 2009 7:15 pm, edited 2 times in total. I am curious what information you will find! I am thinking of putting one for my SuperMajor. So I am interested too. In their online shop theu have quite some manuals. But they are pretty expensive, I think. Fordson's don't leak oil, they are just marking their territory. The 590E was a truck engine for the Trader range. The 4 cylinder engine was built to be a common engine to tractors, trucks and industrial applications so the block for the 590E had to be able to fit on an existing gear box in the truck application that allowed the use of 4 cylinder and 6 cylinder engines. The 590E is basically the 4 cylinder unit with 2 more cylinders grafted on. All the pistons, rings, bearings, valves, torque settings and valve clearances are common through the 4 cylinder and 6 cylinder range. It was not long before the need for more power in tractors saw the 590E engine grafted onto the tractor by enterprising farmers and dealers soon picked up the idea. Then County and Roadless used it in the Super Six and Ploughmaster 95. Of course New Holland and Claas also used it on combines. Fordson Tractor Pages, now officially linked to: Fordson Tractor Club of Australia, Ford and Fordson Association and Blue Force. I soon have to repair the 590 E engine i have in my boat because the cooling water is leaking down to the oilpan. This is the only problem with it. I have a Ford shop manual FO-201 where the Major engine repair is described so I can refer to it then? Yes, that would be no problem. Use the rule of 13 to set the tappets, 1 and 12 = 13. 2 and 11 = 13 and so on. the 590 is marked as a 510 engine and the where some modifided engines like the FL type which has 108 hp instead of ?? Is this the piece of informationyou are looking for? I will list all 6 cylinder engines built by Ford from 1957 through to 1980. Engines produced after 1980 up until about 1992 for the Ford Cargo series trucks are generly the same as those produced in the 1970s but with more power. First thing, ALL engines have a 115mm stroke. All engines have the same bore spacing. Some publications quote the stroke as 114.7mm and some 114.9mm. Thats about all thats common. The numbers contradict depending on what version of manual you look at. I am using the late 1970s version in this case. 330 CID (5.4 litre), wet sleeve,100mm bore. Simms injector pump with vacum govenor. Injector pump is mounted towards the rear of the engine with an exposed drive shaft. Max power 100hp at 2400 rpm. Power output dependent on max speed set on indutrial version (about 85hp at 1800rpm). This is the 590E type fitted to mark one Thames Trader trucks. 330 CID or 5.4 litre (100mm bore) and 360 CID or 6 litre(105mm bore) Dry sleeves, injector pump mounted on timing case. Oil pump relocated and driven from camshaft. From about 1969 a Turbo 360 was introduced. This engine is a modified 360CID and has stronger connecting rods and cylinderhead bolts with chrome cylinder liners. It remained in production untill 1980 and was 141.5hp at 2400rpm. This engine was used in the D Series trucks and R series busses. In 1970 the 330 engine was replaced by a "365" CID 6 litre and a 380 CID 6.2 litre engine with a 107mm bore. These engines were parent bore, that is no sleeves. 365 6 litre was 103hp at 2800rpm anr the 380 was 113hp at 2800rpm. The Turbo engine remained the same. Also used in D, K and R series trucks/busses. You must take into account that the method of mesuring hp changed in the 1970's where the hp was mesured with some ancilary equipent added. I own many of these engines in trucks and they include 1957 330cid, 1962 330cid, 1970 365 CID and 1978 280 CID. All are good engines. Also note that all D Series engines are inclined at 45deg while Thames, K and R series engines are upright. Grani wrote: I soon have to repair the 590 E engine i have in my boat because the cooling water is leaking down to the oilpan. This is the only problem with it. I have a gasket set for the 590 E model with only one rubber seal att the bottom of the sleeves. My boat engine has, refering to the cast code, one rubber seal at the top aswell. 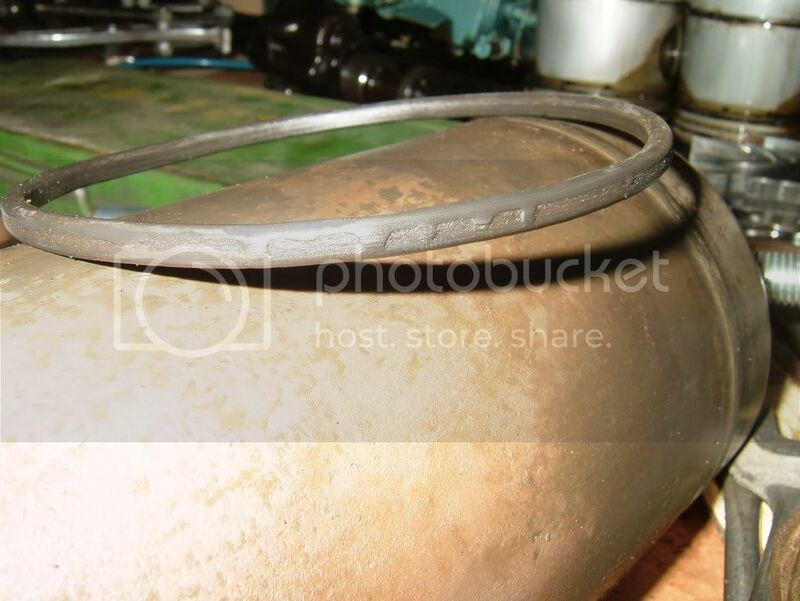 Is the gasket set the same in all other parts exept for the sleeve seals. What is your opinion of using silicone seals instead of the original rubber seals at the sleeves? I think they would resist more heat and last longer. I try to lift out the engine from the boat today when I get home from work. Yoy have the later type block. These use different seals so I would suggest you get a set of the later seals as the one you have will not be a good fit. The old numberes were 116533ESA upper and 116534ESA lower. 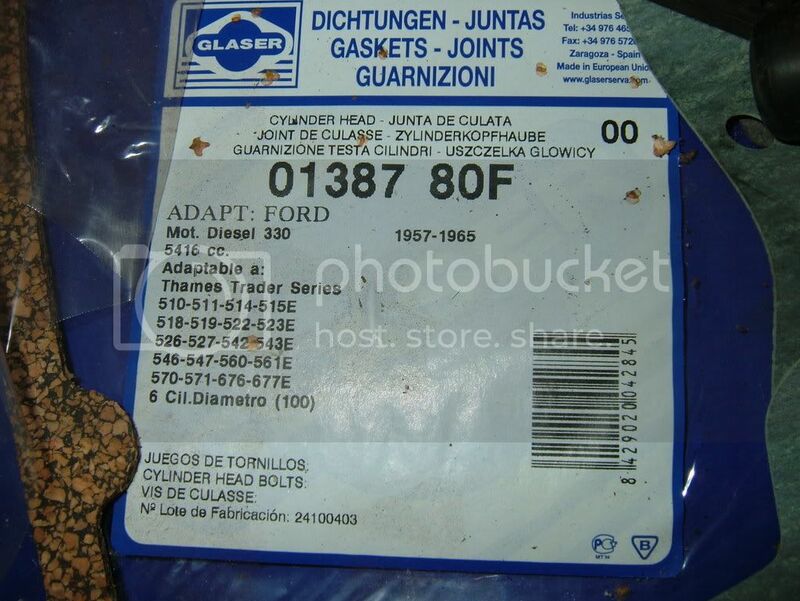 Here is the label of the gasket set and it says it will fit for old and new models and that is not possible and thats why I asked about the differences besides the sleeve seals. There is a lot of models listed that I newer heard of. Here is the faulty seal. The sealgroove has a corroded spot where the water has been able to get by. I've been reading this thread with interest. I know the whereabouts of a Fordson Super Major with a Bush Hog front loader. It will be for sale in a few years. The engine is questionable at the best, using oil, owner starts it every time with ether and compression lever up; so who knows......... Was the 590E sold in the USA and if so, what equipment/trucks was it used. Looking out for a future purchase and if so it will need to be re-powered. 100 hp in a SM frame would be a great work horse. With that in mind, how does the transmission and rear axle hold up to the extra horse power? Thanks in advance for the information. Are You going to keep the frontloader after you put in the 590 E engine? If so, the loader has to have a frame that goes all the way to the rear axle and support the tractor at the bellhousing. The original 590 E oilpan gives no support at all to the tractor. Keep that in mind when you are planning this project. The normal transmission is not a problem but if it is equipped with live pto then the clutch may not last very long. I don´t know if it´s sold over there but it is used in Thames Trader trucks and several combines and industrial equipments like generators and compressors and so on from 1957- 1965. Don't worry about the back end and extra HP. I have seen a Rolls Royce Merlin at 1400 hp fitted to a Major back end. They will take anything you throw at them from the clutch backwards. brownsmule wrote: I've never heard of nor seen a Thames Truck so I'll start by looking into some other ag equipment for the engine. Here is a red beauty. I am here again with my stupid serialnumber questions. I have two 590 E engines that not have the S number but a Truck number perhaps. The first is 510E58687 and the other is 510E54670. I know both are from 1960 but the question is: Is the 510E***** number listed somewhere like the Major serial numbers, so when a change in parts where made the documentation tells from witch number and forward the change was? 510E is the truck engine number. You would have to find a truck site for any information though. Steven Barker on here might be able to help as he is "our Trader Truck" expert but I have not heard from him lately. 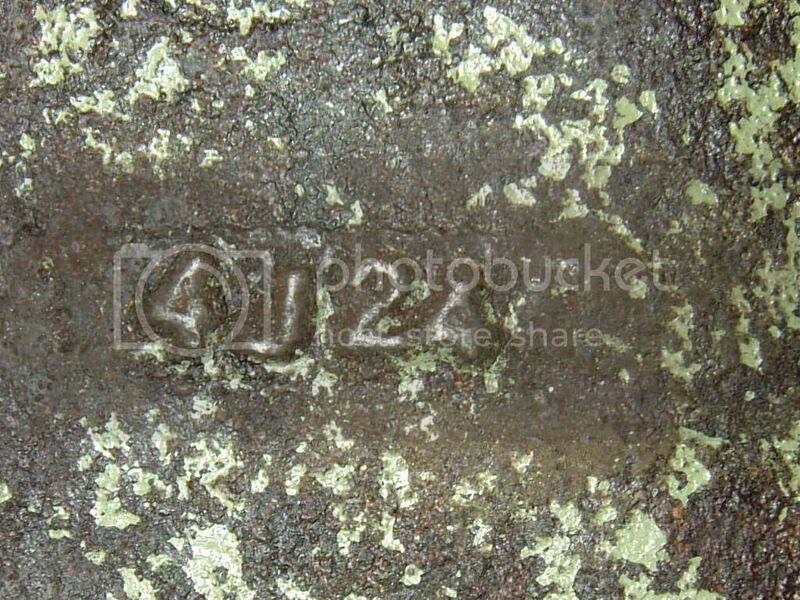 I was just in my basement looking at the flywheel from my boatengine an it has not that marking just "1H1" and some other blury figures. On one 590E engine that I have the cast code is 4J24 and it tells 1964 and the J is July on earlier, but when it is after 63, the J is not in the code list, and 24 is the day. What do you think about the J mystery or am I missreading it completely? Ben has a somewhat similar problem with a J in the date code on the Dexta forum under 'Ben's Dexta-2'. He has "22J4" on a Dexta axle which also doesn't fit either chart? You are comparing apples and lemons Grani. That is a truck engine not a tractor so the same date codes do not apply. That is why I say that you need a truck site to get the information. I was misanderstanding you then, I thought i was only the stamped serialnumber that was specific for the truck and the castcode the same as for the Major, but both are different then. How about the 4 cylinder Trader engine then? The 4 cylinder engine was also a tractor engine but the six was never used in a tractor. It was always a "grafted on" unit by different manufactures. It was always a truck engine or an industrial and trucks were a completely different operation within Fords. So the same moulds were used for the four and so casting codes were possibly the same on truck and tractor, but not for the six cylinder blocks because Fords never made a six cylinder tractor. The six cylinder blocks might have been made at other UK Ford plants. The car engines also came out of the same foundry but were coded differently. You cannot compare the two lots of numbers. Tractor production of the Major finished in October 1964 so casting of the blocks would have finished in (say) August. 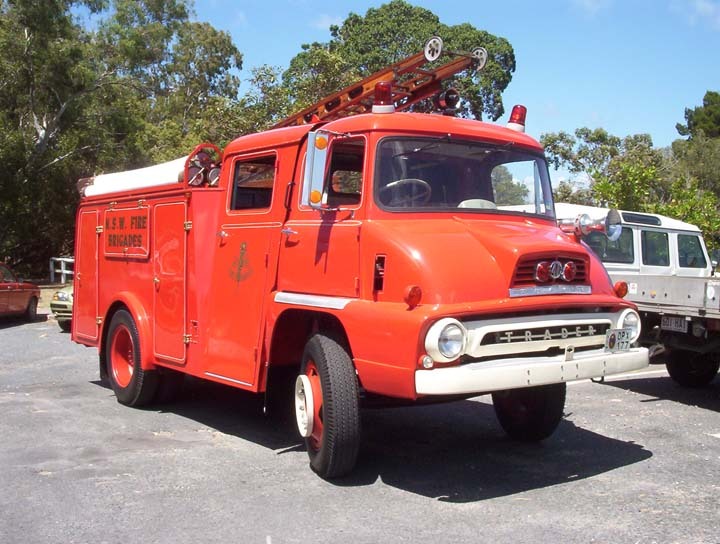 The new trucks did not come out until the middle of 1965 so the "old" engines would have gone on being produced after that date and industrial blocks were still being produced in 1966. So you are going to find casting codes that don't add up whenever someone has replaced an engine with a later model. That is why we get anomalies in tractors like the Super Major engine with the throttle through the block.